We recently had the pleasure of chatting with Bellevue University MBA Director Dr. Kevin Schieuer about Bellevue's impressive online MBA program offerings. Bellevue University offered one of the earliest online MBA programs. How does that benefit the students in your program? Being the first, totally online MBA program in the country, has given Bellevue University (BU) and our College of Business a long history of experience that provides many benefits for faculty, administration, staff, and students. 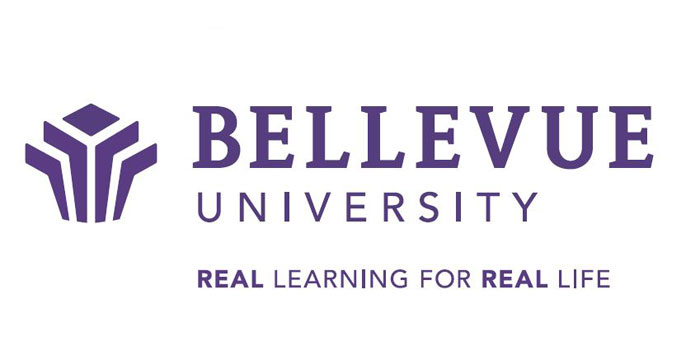 Bellevue University has been successfully recognizing and meeting the challenges of effective, Cyber-Active Learning since the mid-1990s. Many of the institutional requirements and challenges to successful online education that institutions are just learning about today, BU recognized and began building institutional solutions to, over 20 years ago. To be successful online, requires a large institutional commitment, as well as a culture of innovation by faculty, administration, staff, and students. Impactful adjustments require dedication and time as we continually seek improvements. These actions culminate in interactive, dynamic online learning opportunities that benefit Bellevue University’s MBA students. The majority of Bellevue University MBA students are full-time working adults from all over the country and world, including relatively remote areas with limited educational options, as well as large, metropolitan locations with many local options. The most common characteristic among our students would likely be their desire or need for flexibility in their learning, while simultaneously desiring a high-quality, challenging, and interactive learning experience. No. Online students are not required to spend time on campus, as they may complete their entire programs online. Many local students complete their programs through both online and on-campus opportunities. All of our library, tutoring and other resources are available to online students. All online courses include dynamic, interactive discussion boards which include content focused boards, as well as online faculty office forums. Students and faculty interact through these boards and forums, as well as email, video conferencing options and phone calls as needed. Can you tell us about the extensive training your faculty go through in order to teach online? All online faculty go through a training program that addresses the online system as well as expectations for online teaching dynamics. There are also additional, on-going workshops and training opportunities for continual quality improvement. Faculty members also are engaged with peers and/or faculty mentors or lead faculty. How do students decide on which MBA program to chose: Cohort vs traditional MBA program? Students work with enrollment advisors to discuss which options would work best with their particular circumstances. We have a high expectation of engagement and interaction of students in the program. Our courses are relatively small, with the goal to facilitate student-to-student interactions, as well as faculty-to-student interactions that promote personal engagement with the course topics, projects, and activities. Most courses require group activities which provide opportunities for smaller networks of students to work together to learn from and with each other in the process. Bellevue offers 19 concentrations with its MBA. Which ones are most popular among students? Has there been a shift in the last decade toward global and/or tech-forward concentrations? The more traditional business disciplines such as marketing, finance, and accounting continue to be the most popular concentrations, though there is growing interests in information technology-related and international concentrations. All courses address their respective topics from international and global perspectives, which is part of the inherent reality of modern business. Yes, our Career Services resources are available to all students. Since many of our MBA students are already full-time employed, they are often well-established in the marketplace and seek to obtain career advancement opportunities through their own companies and networks. We advise students that this is a tremendous opportunity for them to advance themselves both personally and professionally and that we want to be part of their success stories. With their success in mind, we want students to come prepared academically and mentally to be dedicated to their MBA education. We advise them that for the program to truly be valuable in their educational journey, they will need to make a significant commitment to their studies and have an open-mind to new ideas about business that may challenge some of their preconceptions. Thanks to Kevin Schieuer for participating. For more interviews, check out our Online MBA Report Interview Series.